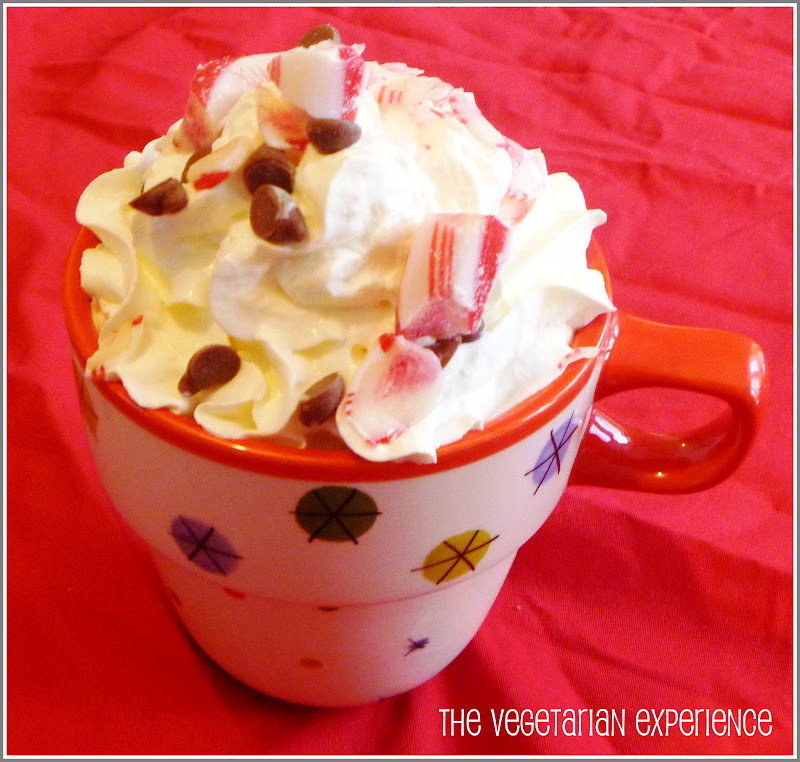 The Vegetarian Experience: Hot Chocolate or Hot Schnocolate!! Yes, half term is well and truly upon us, and so as we have nowhere to officially "be" for the next week, we are happy to have the luxury to stay at home and have fun, whilst the world revolves around us. The food and drink we consume at home is largely guided by the seasons and so since the snow has been falling and temperatures have been plummeting over the last week, we are having lots of hearty food and hot drinks to keep warm. There is one hot drink in particular that my kids love more than any other, and which is guaranteed to warm them up and bring a smile to their faces. This is of course Hot Chocolate! or as they like to call it when they drink it in the snow, Hot Schnocolate! Last night when we arrived home from school, eldest asked if we could make some Hot Schnocolate as she had been out in the snow at school and needed warming up. We prefer to make our Hot Chocolate from scratch rather than making it from the packet. It tastes better, and you can also decide how much chocolate or sugar you would like to add, so you can make it slightly healthier for the kids by adding less chocolate and sugar. 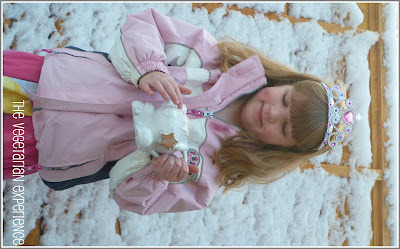 Here is eldest enjoying hers in the snow and the recipe for our Hot Schnocolate is below! 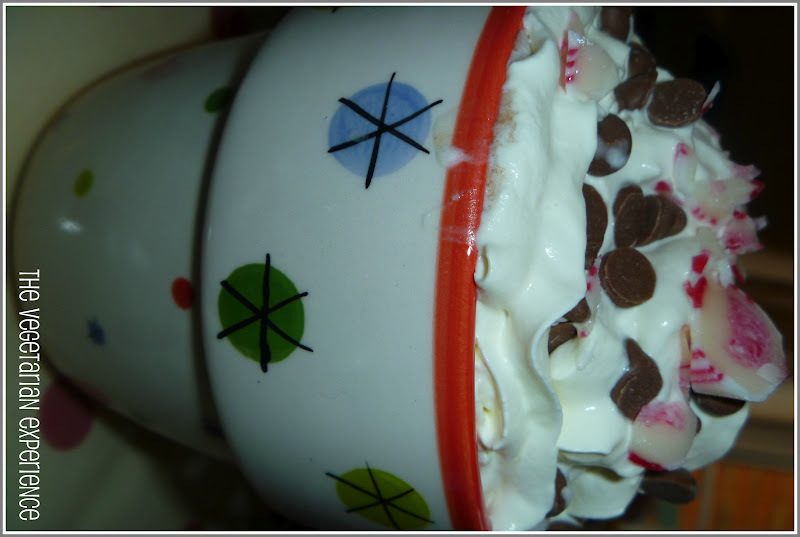 If you are using fresh cream, whip the cream together with a whisk and then place to the side. In a saucepan, heat the chocolate and the milk over a low heat until the chocolate has melted. Once the chocolate has melted, stir in the cinnamon and continue to heat for a couple of minutes. Next, stir in the sugar and bring to the boiling point, but do not let the mixture boil. Whilst the mixture is heating, remove a couple of candy canes from their packaging and place them into a ziploc bag. Bash them into splinters with a rolling pin and then remove from the bag. Once the mixture is ready, pour it into four mugs and top the chocolate with the whipped or aerosol cream. Sprinkle some chocolate chips and crushed candy canes over the top of the cream and your hot Schnocolate is ready to drink. Serve immediately and enjoy!